Looking to re-do your garage before you move in to a new house? 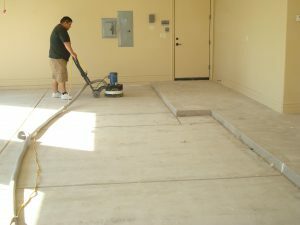 Or maybe, you are a part-time resident of Arizona and want to replace your garage and driveway concrete with something low maintenance and looks nicer? Dreamcoat Flooring is dedicated to maintaining the highest quality products and installations for garage floor coatings using only industrial grade epoxies, polyurethanes and polyaspartic polyureas. We offer a variety of colors and floor finishes which include 24 standard solid floor coating colors, metallic epoxy coatings (see picture on this page! ), 16 granite and terrazzo colors. Dreamcoat Flooring offers the traditional epoxy coatings that installs in 2 to 4 days, or the fast drying polyaspartic polyurea coatings that install in less than one day and can be driven on the next. The difference you have with Dreamcoat Flooring is choice and HIGH LEVEL OF CUSTOMER SERVICE. We offer a large selection of colors, click to learn more about our Phoenix epoxy floor finishes and garage flooring systems. Imagine the possibility of installing a floor in one day with the revolutionary polyaspartic coating system. The biggest drawback to garage floor coatings is the amount of time it takes for installation and curing before you can fully utilize your garage again. With Dreamcoat’s one day epoxy flooring system, you’ll enjoy the convenience of putting your garage back into use the very next day! Anthem, Ahwatukee, Apache Junction, Avondale, Buckeye, Carefree, Casa Grande, Cave Creek, Chandler, Deer Valley, Flagstaff, Fountain Hills, Gilbert, Glendale, Gold Canyon, Goodyear, Higley, Laveen, Litchfield Park, Maricopa, Mesa, New River, Paradise Valley, Payson, Peoria, Phoenix, Prescott, Queen Creek, Scottsdale, Sun City, Sun Lakes, Surprise, Tempe, Tucson. 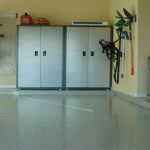 The garage is often the most overlooked and under-utilized space in one’s home. Dreamcoat Flooring provides a practical way not only to beautify your garage, but also protect the concrete floor against weathering, cracking, oil, chemicals, and moisture. A Dreamcoat floor reflects pride in ownership, unmatched style and value. Looking for unmatched style and value in your future floor? 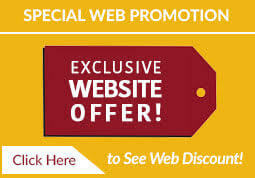 Look no further than Dreamcoat Flooring solutions. We serve the Phoenix Metro area and valley-wide. Call: 480-226-4172, or click here to request your FREE ESTIMATE for your new garage floor coating today!